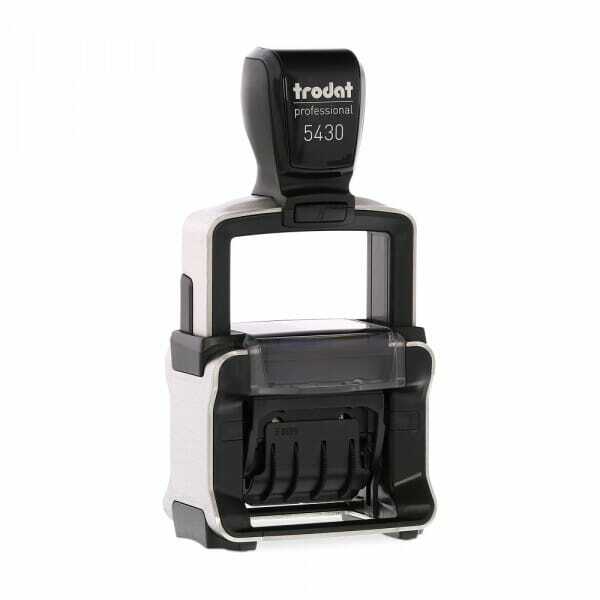 Trodat Printy 5430L comes ready-to-use with 6 frequently needed phrases: RECEIVED, PAID, FAXED, PAGE___OF___, ANS'D:_____ , PER_____. Just turn the wheels of the band and select your required phrase. Customer evaluation "Trodat Professional 5430/L with 6 interchangeable dies"